A large cortijo on a small tarmacked road just off the main road going to Oria from Albox which is less than 15 minutes away. 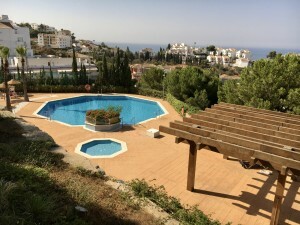 This lovely house is beautifully situated commanding stunning views across the Rambla de Oria and surrounding countryside. 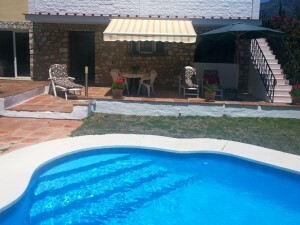 Now in need of a little tender loving care this cortijo offers a good sized lounge, separate dining room and a kitchen with an office space and downstairs bathroom and 3 large spacious bedrooms and bathroom upstairs. There is a garage attached to the kitchen which has now been closed in to give a further storage area and workshop but could easily be opened up again if required. It does have a shaded parking area too. 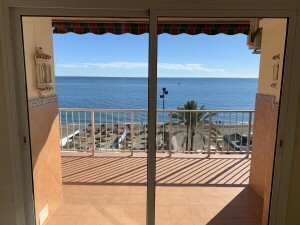 There are a number of terraces around the house one with a Jacuzzi which is included in the sale and others that still need to be developed but any one of them offers outstanding views in whichever direction you look. This really does have to be seen and offers the buyer an opportunity to put their own stamp on the property!